Jamilla talks about the challenges of belonging to a large family. She also shares her passion for volunteering and politics. This is a really positive documentary. 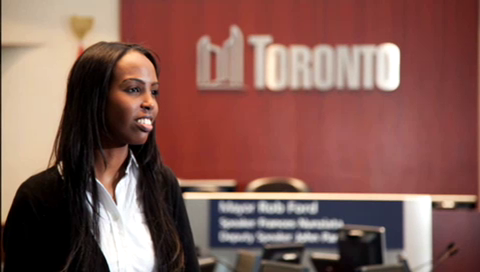 The short clip of Jamilla showing us her life is inspirational to all, none more than to Somalis in the Diaspora. The experiences of Jamilla resonate with many in the Diaspora. Jamilla is an example of what hard work and determination can do for an individual and more importantly those around them, be it family or the greater community. Well Done Jamilla.